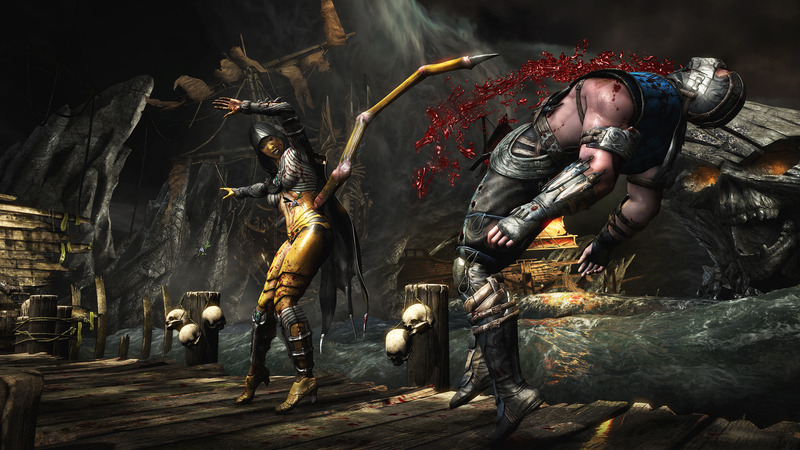 Mortal Kombat X, has been officially confirmed to feature Brutalities. NetherRealm have been teasing the possibility for some time now, so we can say that it was bound that a confirmation was incoming. Brutalities are an alternate to fatalities, in which a player performs a devastating combo attack that beats the opponent to death. There will be more than 100 Brutalities featured in Mortal Kombat X, and players will be able to combo into a Brutality. Mortal Kombat X is going to be Brutal! NetherRealm, during their Twitch stream on Feb 26, the fourth KombatKast, they demonstrated Brutality. Due to the constant teasing of their inclusion, this was rather expected so they really had to impress. It’s going to be Brutal was being used by everyone involved with Mortal Kombat X.
Brutalities were only available through Mortal Kombat Trilogy, and they did not appear in mortal Kombat 4. A new system was developed in 2011 but their inclusion, was cut out of Mortal Kombat 2011, due to time constraints, as Ed Boon himself confirmed. RT @danRX4 @noobde How about Brutalities?? Noobde: Our designers had a pretty cool Brutality system working, but there was no time 2 finish. They are back though for Mortal Kombat X, and they look quite impressive. Previously, brutalities resulted in the other fighter blowing up and chunks of bone appearing. No more. Brutalities in Mortal Kombat X live up to their name and have unique finishers. Unlike Fatalities, these are activated by accomplishing certain things in the match. Characters have multiple Brutalities, and they happen much more quickly than the dramatic Fatalities. Mortal Kombat X will release April 14 for the Xbox 360, Xbox One, PlayStation 3, PlayStation 4 and PC. High Voltage software is taking on development for the last-gen and PC versions of the game. I hope that this does not affect the quality of the PC version in any way, but given they are the studio behind the last Mortal Kombat installment on the PC, which was rather quite good, I believe there are no reasons to worry.